This blog is about helping you as well as myself to become extraordinary. 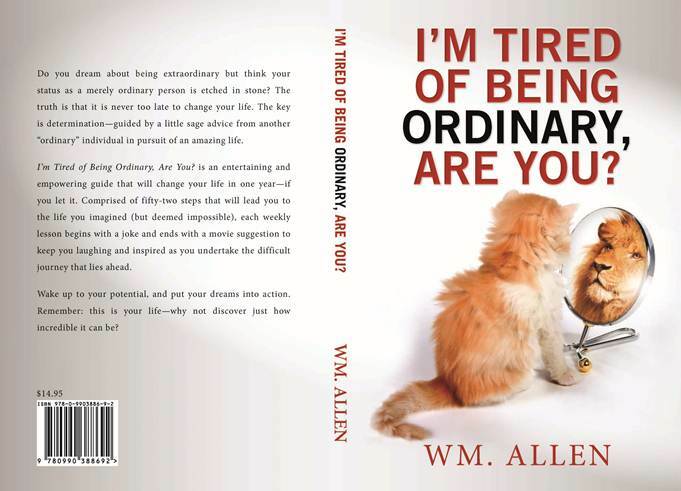 I don’t think any of us should view being extraordinary as something unattainable. If we look closely enough, we will often witness extraordinary acts or actually meet people who have performed extraordinary acts. For instance, it was only a few weeks ago that I witnessed the bowling of a 300 game by my friend JR, whom I consider an extraordinary individual for a number of reasons in addition to bowling. Bowling a perfect game (i.e. ; a 300 game) is an extraordinary act, as any bowler can tell you. It seems a quarter of us routinely have one or two drinks daily, while at the other end of the spectrum about 12% of us abstain from drinking for religious or health reasons. You hear about the guy who was disappointed in the reflective running jacket he had bought? It just sits around reading works by Proust and Descartes. Clothing is a form of communication. So is your clothing saying what you want it to say about you? 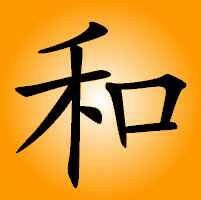 Is it saying you want to fit in with a particular social group, profession or trade? Is it saying that you respect the social conventions surrounding the function you have chosen to attend? Or, is it saying you don’t care what people think of you? This posting wraps up the section of my book on the physical traits. I do hope that all of you take these posts on the physical traits very seriously. If you do not watch your diet, do not exercise, short change your sleep, and drink too much; your years after 50 are going to be more and more unpleasant with each passing year. I have been using this blog to bring to your attention self-help books in addition to my own, that I think you will find helpful. However, when it comes to clothing advice, I believe current magazines are more helpful than books I can think of, plus just looking around in stores and at people in general and you will likely see clothing very becoming to you. The Devil Wears Prada, is an entertaining movie that also says a lot about fashion. If you never saw this film, you should and for those of us that saw it when it first came out in 2006, we may want to watch it again–I think it is that good. As always, if you believe this blog has any value, please pass it on to your friends and people you care about. And if you have suggestions as to how I can make these Monday posts even more helpful to you, please let me know. Before I start this week’s posting, I would like to mention the passing of an extraordinary person last Monday at the age of 86. He was Robert Dean Stanley, who among other things created the Chrysler Pentastar logo, when he was employed as a graphic designer for the firm of Lippincott & Margulies in New York City. Robert Dean Stanley was the father of Dean Stanley, who is a regular attendee at the various happy hour parties, that many of you from the Detroit area have attended. Our condolences go out to Dean and his wife, Mary Ellen. A little over half of us typically get less than six hours sleep. I suspect most of us aren’t surprised at that result. Three guys were sitting at a table in a biker bar. The biker didn’t say a word. His buddies were confused, because he was a bad dude, and would fight at he drop of a hat. The biker still said nothing, but his buddies were starting to get mad. Here’s to alcohol: the cause of, and answer to, all of life’s problems. 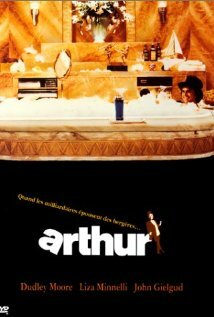 I couldn’t decide which of these two versions of the famous drinking movie, “Arthur” to suggest, so I decided to suggest both the 1981 version and the 2011 remake. 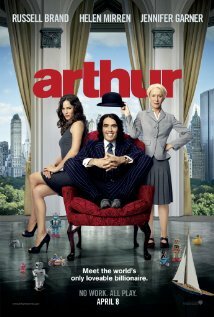 I think you will find either entertaining, and there is a message in this movie. If there is no message, it is just entertainment; but, with a message it becomes Art. If you believe this blog has any value, I urge you to please pass it on to your friends and people you care about. And if you have suggestions as to how I can make these Monday posts even more helpful to you, please let me know. I was totally surprised that 40% of those who took the poll said that they do all three components of fitness: cardio, weight bearing and flexibility exercises. That is really impressive and encourages me to put some flexibility exercises into my own program. Hopefully, the results of the poll will be also benefit you by either maintaining your current fitness program or adding to it. That evening, he came home and gave a small package to his wife. It is wonderful to get an early start on the day instead of rushing because you are running behind. As important as it is to get a early start, it is also important to get an adequate amount of sleep each night. There has been research showing that adequate sleep promotes weight loss, keeps the memory sharp, your disposition more pleasant, and you are prone to less accidents. I wrote my book out of respect for the busy person who doesn’t have a lot of time for reading and also to reach out to people who aren’t really into reading. I wanted the book to not only be an easy read, but also entertaining so I didn’t go in-depth on the various traits. 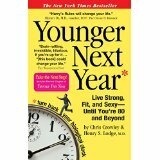 I want to use this blog to suggest other self-help books that do go into more detail about a particular trait that I have covered in my book. Cameron Diaz’s The Body Book, in Chapter 22 has some excellent information on the benefits of adequate sleep and the science behind those benefits. 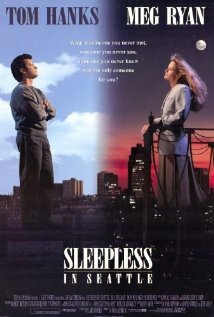 Although I suggested a more recent movie in my book, this 1993 movie, Sleepless in Seattle is a classic. I thought it was particularly appropriate to mention it since the man’s son makes his request for a wife for his father on a Christmas Eve radio show. I tried making this post valuable to you, if I have succeeded, please pass it on to your friends and people you care about. And if you have suggestions on how I can make these Monday posts even more helpful to you, please let me know. Regarding last week’s poll, it is probably no surprise that none of us wanted to gain weight during 2015 and over half of us plan to lose weight through diet and exercise. My exercise coach told me to touch my toes. You probably have heard the expression, “If you don’t have your health, nothing else matters.” And yet you also have probably heard or said it yourself, “I don’t have time to exercise.” I’m sure if you really wanted to make time for fitness, you could by cutting out some of your low value activities. And even those of you who do exercise, have the tendency to only do one type of exercise, such as running, while doing very little weight bearing exercises for the upper body. Others of you may lift weights; but do little or no cardio or flexibility exercises. To be fit, one needs to do all three types of exercises on a regular basis. The medical literature tells us that the most effective ways to reduce the risk of heart disease, cancer, stroke, diabetes, Alzheimer’s, and many more problems are through healthy diet and exercise. Our bodies have evolved to move; yet we now use the energy in oil instead of muscles to do our work. Here is one below that contains not just a lot of information on exercise, but diet and health in general. 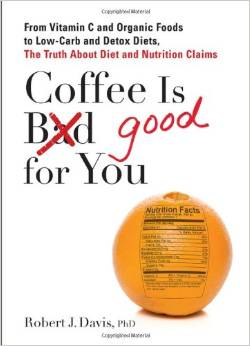 I don’t people to agree with everything in any self-help book, but this book does contain a lot of things to consider if you want to be healthy. This particular book is oriented towards males, but I think much of the info is useful to either gender. If you want a female specific book, I would suggest,The Body Book by Cameron Diaz. And this book too, contains a lot of information that would be useful to either gender. 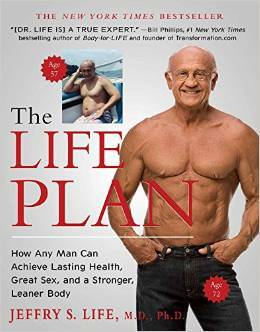 Back in 1998, Dr. Life was sixty years old and a stereotype of the aging man: he was overweight with a noticeable gut and little muscle tone. His low libido was ruining his self-esteem. He felt tired all the time, yet no amount of sleep made him feel well rested. It wasn’t until a cardiologist read him the riot act that he began to make the critical diet and lifestyle adjustments that led him to look and feel younger than ever. More important, he’s been able to maintain his physique and his health more than fourteen years later. A multidisciplinary exercise plan designed to improve heart health and increase muscle mass. [ ] Rules for dining out [ ]. A complete guide to nutrient supplements [ ]. 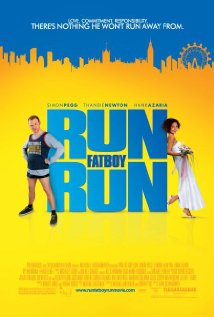 I try to find other entertaining and thought provoking movies that are not in my book, but when it comes to movies related to exercise, I think this is the one (at least for me), but I think we would all like to hear your suggestions for other exercise movies, so please comment.